Stop sending general emails with no relevancy to your subscribers. Instead, start sending highly targeted emails that your subscribers actually want by segmenting your email list. 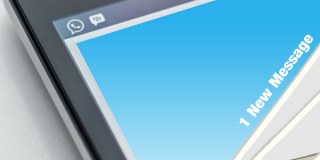 Think about it: would it make sense to send the same sales email to both a brand new subscriber, and an engaged subscriber who has opened most of your emails? That’s because your subscribers are in completely different stages of your sales funnel. 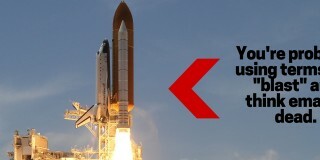 Subscribers who regularly interact with your emails are going to be more “sales ready” than your new or casual users. By segmenting your email list and identifying your new subscribers, you could focus on sending emails that build trust and rapport. Whereas for your most engaged subscribers, you could focus on sending emails aimed to convert them into paying customers. 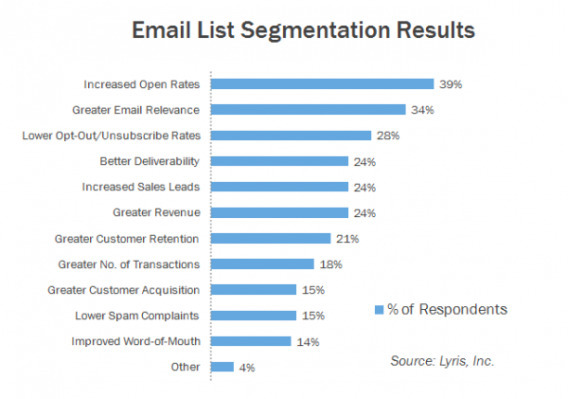 So what are the benefits of email segmentation? Despite these proven and known benefits, most businesses continue to ignore email segmentation or do it incorrectly. In a 2015 survey of 1500 participants, almost 50% of subscribers continue to receive irrelevant emails on a daily basis. It takes a lot of resources to build your email list, so stop wasting your efforts by sending irrelevant emails to your audience. Remember, these subscribers already went through the hassle of giving you their email and permission. All you need to do is deliver content they actually want. Fortunately, many of the major email service providers (MailChimp, AWeber, Drip) have built-in tools to automatically segment your email list (setup guides at the end of the article). But the problem is that there are so many different ways to segment your email list. It’s tough to know which segmentation strategies can actually help you categorize your subscribers into meaningful categories. So to help you choose the best email segmentation tactics for your specific business, here’s some inspiration of the 8 most effective ways you can categorize your email subscribers. 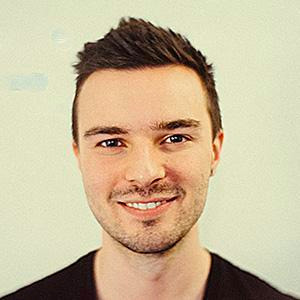 Christopher Gimmer from Snappa sends highly targeted emails depending on where their subscribers are in their sales funnel. 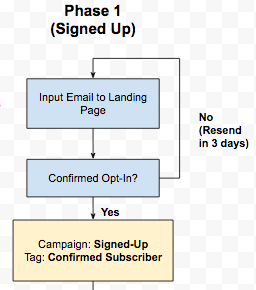 To explain how it works, here’s a screenshot of the process flow diagram they use to map out their email flow. Using Drip, when a trial-user first signs up, they are automatically placed into “Phase 1”. The Phase 1 category is comprised of email subscribers who signed up and are interested but just aren’t ready to buy yet. The main focus here is to ensure the subscribers get value from Snappa’s graphic design tool by encouraging them to use it. 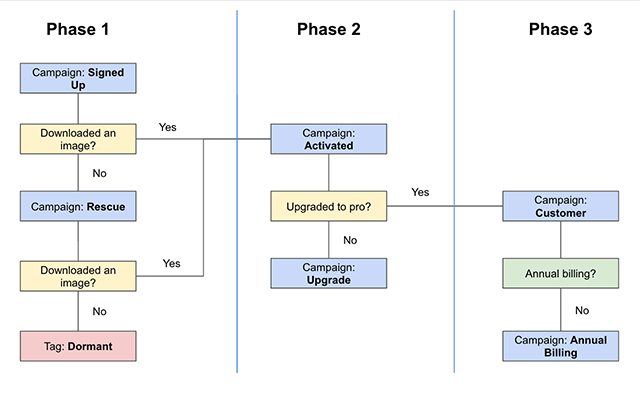 After a subscriber uses Snappa’s product for the first time, they’ll automatically be placed into the “Phase 2” category. The goal of Phase 2 is to send highly targeted emails aimed to convert the activated trial-users into paid customers. To do this, Snappa sets up their email drip campaign so they can send relevant one-off emails based on certain actions they haven’t taken. 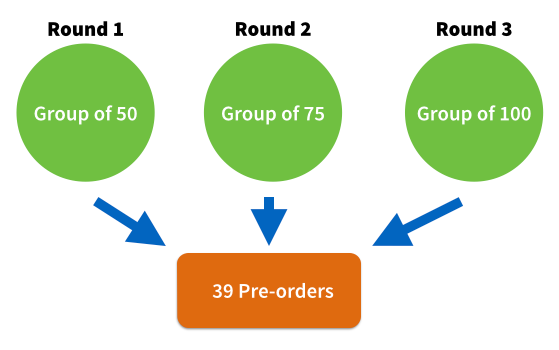 Once a user finally upgrades to the paid version, they’ll be segmented into the “Phase 3” category based on their billing subscription (monthly or annual). For the monthly customers, after they’ve been a customer for 3 months, they’ll receive targeted emails to encourage them to switch to the annual billing cycle. By doing so, Snappa can increase the amount of cash flow and reduce churn. Takeaway: Send highly targeted emails that educate your subscribers on how to use your product based on where they are in your sales funnel. A new subscriber could receive beginner tutorials, whereas power users could receive advanced lessons. Similar to the Snappa example, another great way to increase your trial-to-customer conversion rates is to send targeted emails based on how often your subscribers use your product. 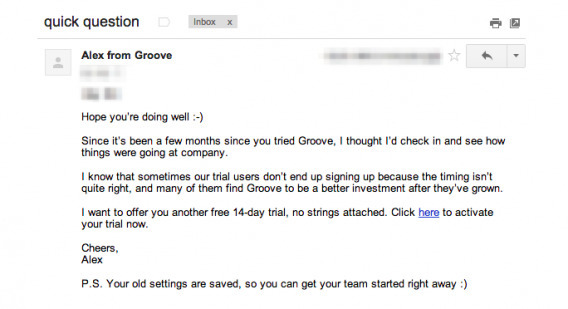 Prior to segmenting their email list, Groove was experiencing low trial-to-customer conversion rates. This is because they would send the same email sequence to every single one of their users. This meant that a subscriber who frequently uses their product would get the same email as a subscriber who never logged in after signing up. 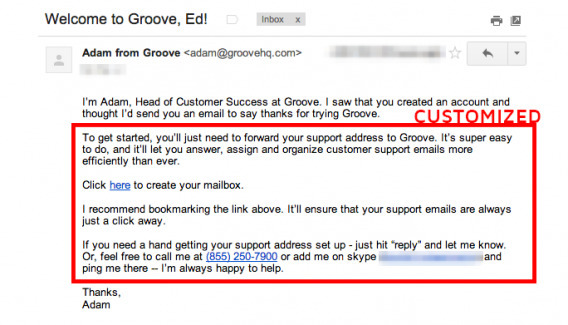 The call-to-action in the emails sent to inactive users are focused on getting the user to set up their account. But, the emails sent to active users focus on customer development/support by inviting the user to a “demo” to show the active users how they can make the most out of Groove’s product. But what if the subscribers are still inactive? By doing so, they were able to win-back around 2% of their customers that wouldn’t have converted otherwise. Takeaway: Identify who your inactive, casual, and power users are. 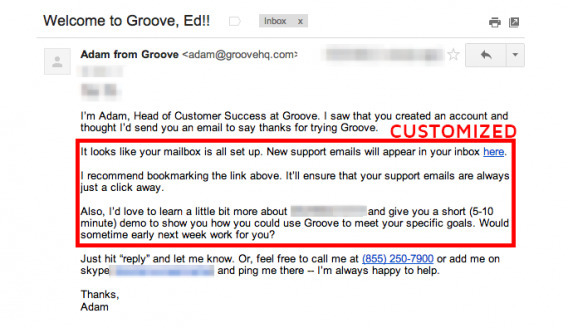 You can then provide custom advice to help reduce churn, and improve your trial-to-customer conversion rates. Giving away valuable freebies that correspond with your product is a great way to identify which subscribers could be interested in your paid product. Bryan Harris validated his online course before he even created it by asking for pre-payments. To do this, he segmented his email list based on the subscribers who downloaded content upgrades related to his paid course. And for the subscribers who filled out his feedback form and expressed interest, he would send a link to pre-order his course. 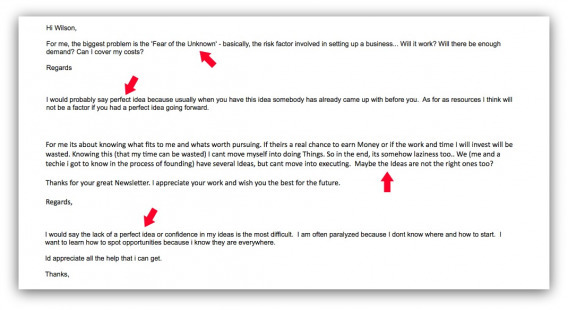 Of the 225 people he emailed, 17% of them ended up pre-ordering his course! This was enough demand to validate his online course. Takeaway: Find out what your customers want based on which content upgrades they download. This should give you an idea of what type of content or products you can offer to them. Similar to tracking what content upgrades your visitors’ download, you can also segment your subscribers based on the type of web pages they visit. Imagine you ran a photography tips website and make money by selling classes. You can keep track of which existing subscribers visited your blog post about “top 5 photography courses”, and chances are, these subscribers are more likely to purchase. In the case of ClickMinded, if one of their existing email subscribers visited their product page, or went to a page with a video SEO tutorial, the subscriber would automatically be segmented into their SEO course’s sales cycle. The subscribers would then receive emails that are related to educational content. In this case, ClickMinded’s goal was to develop social proof to increase conversions by creating in-depth case studies of how their SEO course helped other businesses. In the next email, they would follow it up with a step-by-step guide on how to build links with SEO. 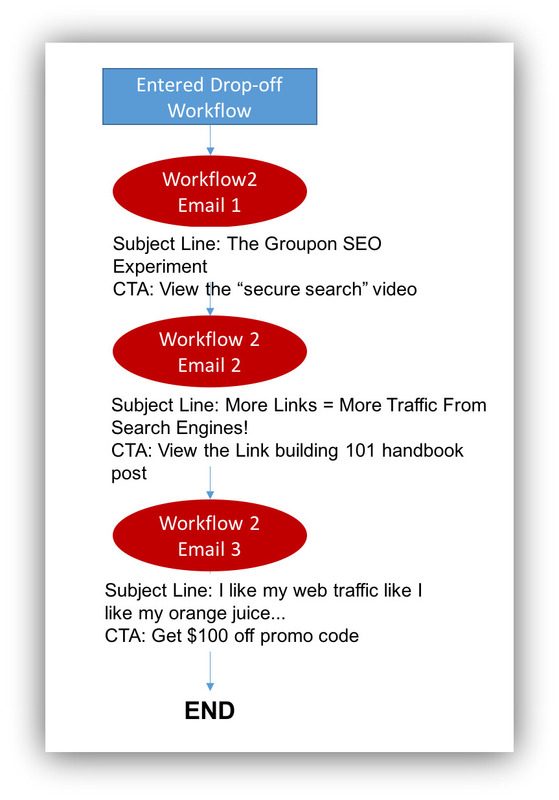 After developing credibility and the trust of the subscriber, the last email in the sequence is a promotion with a discount code to their SEO email course. Instead of sending SEO emails to their entire list, they only sent it to targeted subscribers who expressed interest by visiting relevant web-pages. The results? 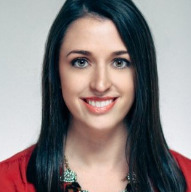 ClickMinded generated $21,243 in revenue in 8 days. Think this method only applies to businesses? “A good political email list will increase its value by raising money, prompting an action, getting voters to the polls, and growing in preparation for the next election — all at the same time. That means patience is key in gaining conversions, and the value of a conversion doesn’t revolve around immediacy. Takeaway: Identify your high-value subscribers who are most likely to purchase from you based on the type of web pages they visit. You can then send educational/nurturing emails to build credibility and follow it up with a sales email. 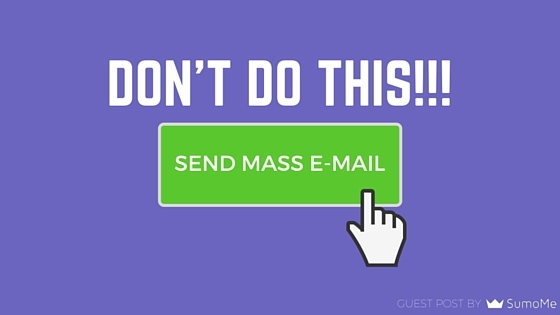 If you don’t require a “double opt-in” process for your email list, you can skip this part. But if you do, be sure to segment your email list based on the subscribers who haven’t verified their email subscription. For my personal blog, FounderOrigins, about 5% of my subscribers signed up but never verified their emails. The results? 20% of the subscribers would verify their email subscription. Again, these are subscribers that I wouldn’t have activated otherwise. Takeaway: If you require a double opt-in process, some of your email subscribers are going to lose your verification email. Spend 10 minutes right now to segment your unverified subscribers and follow up by sending a re-verification email. You can track which subscribers don’t open your emails and then segment these inactive subscribers into a re-activation campaign. You should then send highly targeted emails specifically to re-engage with your subscribers by recycling your emails. Noah took the exact same email and changed only the subject line. 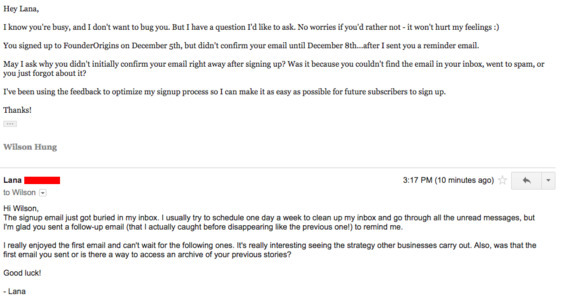 He then automatically segmented the subscribers who didn’t open the email and resent it 4 days later. By doing so, he was able to get 7000 of his subscribers to read an email that they wouldn’t have otherwise. 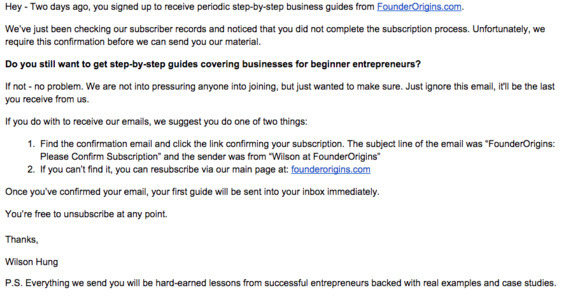 Takeaway: Improve your open rates by targeting subscribers who didn’t open your original email. All you have to do is re-send the exact same email with a different subject line. Identify your engaged users: Right away, you’ll be able to create a group of new subscribers who are more engaged than your average prospects. Whitelist your email domain: When a subscriber replies to your email, it’ll automatically whitelist your domain ensuring they receive all future emails straight into their inbox. Learn from your customers: You’ll gain a better understanding of the “decision triggers” and language your subscribers are using so you can use the same words in your copy to connect with them. 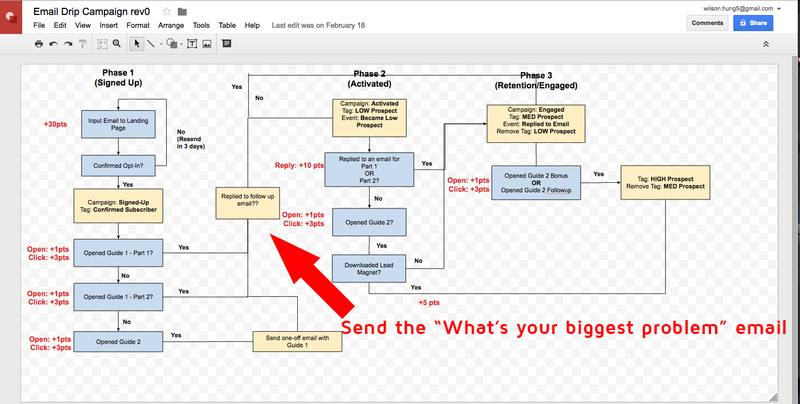 Every subscriber that replies to my email will be automatically promoted into “Phase 3” of my email segmentation. These are my most engaged subscribers and they’re the ones who will receive every single blog update. For comparison, the subscribers who are engaged and replied to my email has open rates 20% higher than my average casual subscribers. Because by identifying your most engaged customers by asking what their biggest problems are, you’ll eventually start to see the common issues your audience is experiencing. You can then send different types of emails, or create a product hypothesis based on your subscriber’s biggest problems. 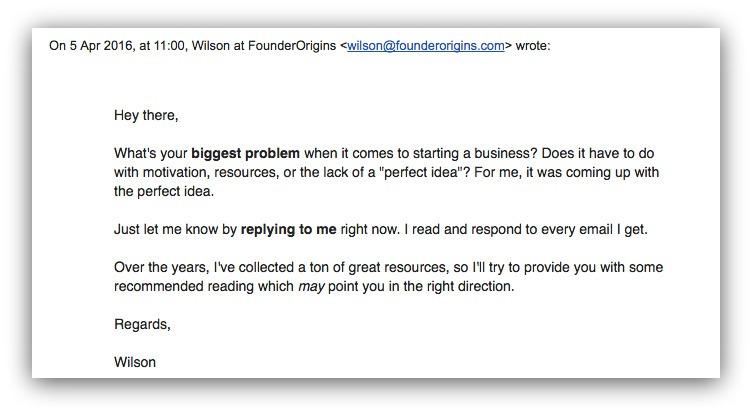 Takeaway: Encourage new subscribers to reply to your emails by asking them what their biggest problems. This will help you identify who your engaged subscribers are, and the type of content/products they are interested in. 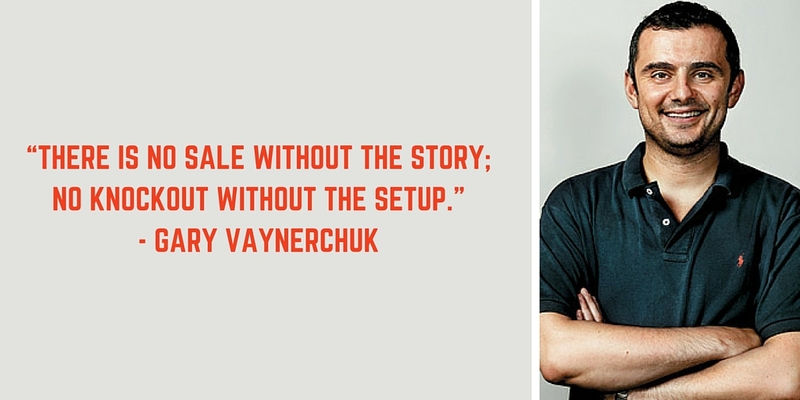 Do your customers ever tell you, “you should do X” or “Y feature would be awesome!”? If so, you should keep track of every single customer that puts in a feature request. That’s because by doing so, Groove was able to achieve a 68% response rate on their feature launches. They would get 68% of users replying back which ultimately provided their business with feedback on their products, improved customer relationships, and also brought back churned users into paying customers. 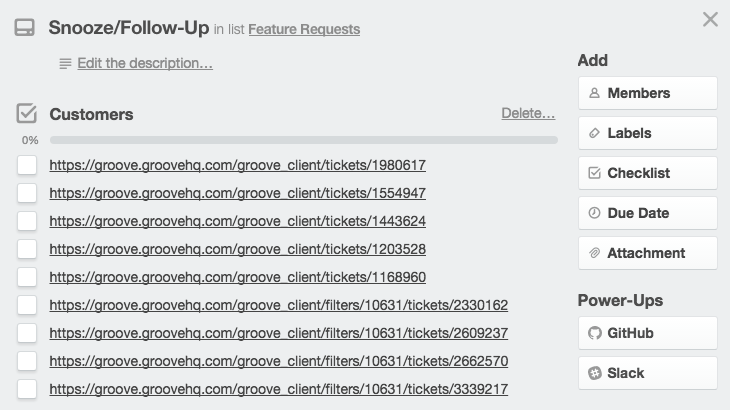 Takeaway: Keep track of your feature requests and which subscribers asked for them so you can follow up with them when the features are live. So the next step is to test which strategies work for your specific marketing strategy. Rather than applying your segmentation strategies to your entire email list, start by creating a small test group so you can determine how effective it is. If your test is successful, begin rolling it out to a larger group, and eventually to your entire email list. But the main question remains. How do you actually implement all of this? There’s no clear-cut answer because it depends entirely on which email service provider you use, and the methods will be different for each provider. That’s why I put together a spreadsheet for every segmentation strategy in this guide, and also included links to relevant tutorials for all the major email service providers (MailChimp, AWeber, Drip, ConvertKit). Get a copy of it by going to the link in my author’s byline. Wilson Hung is a Content Marketer at SumoMe.com. Click here for a list of step-by-step guides on how to segment your email list. Want more? Join our Sumo community of over 436,000 subscribers and learn how to grow your website and build your email list. I’m in the same position Aziz. Since I’m just starting I have few subscribers right now, and my scheduled posts go out one day a week. However, based on the engagement so far, and a couple of surveys I’ve shared, I will be able to assess the data more efficiently now. Great post, Wilson! 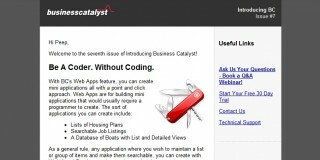 The 8 different strategies are extremely helpful. I love the conclusion, too; pointing out that every business is different and to test what works for you. A lot blog posts fail to point that out leaving the readers scrabbling to use all the strategies or tips and feeling overwhelmed. Great job! I have to say, personally, I had gone away from sending highly targeted emails to my list. I wish I had a good reason, but it has been pure laziness. I was also testing out frequency. However, I have gone back to segmenting the list and even with just tweaking the language a tad in the email to the type of business the lists fall into – I have seen the open rates skyrocket, the unsubscribes plummet, and clicks are up. I’m not quite there, yet, but I’m excited to test a few more of the strategies to boost up the email marketing effectiveness even more. Thanks again, Wilson! Awesome, thanks for the great feedback Brandon! What time of email service do you use for your segmentation? Right now, I’m using Active Campaign. Loving it. The reporting could be a little better, but the segmentation and automation are awesome. I personally really like Drip (getdrip[dot]com). 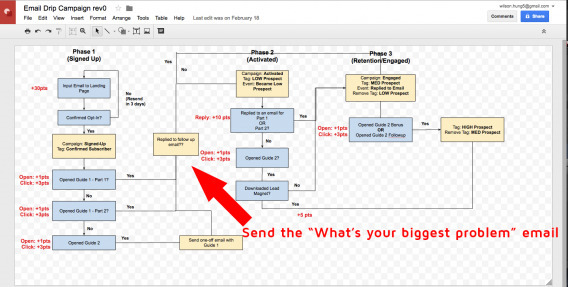 Mainly because it’s super easy to set up the segmentation, kind of like drag-and-drop to create the process flow. 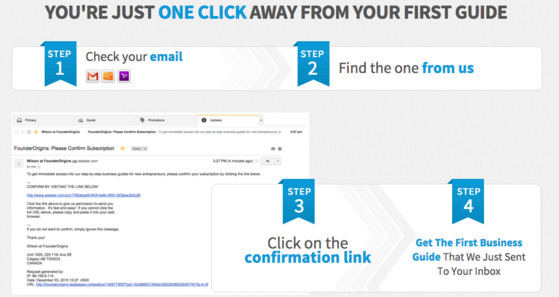 And also easy to A/B test each email. Just took a look at Drip. Man oh man, do they make it look easy. Wilson, great article! I have a question about point 7. Which marketing automation software is being used in this example to automatically identify leads which have replied to an email? This is functionality we are sorely missing in my organization (using HubSpot, which does not have any automation capabilities around email replies). Thanks Julie! Drip (getdrip[dot]com) can do it. Highly recommend! Excellent guide and description of e-mail division and absolutely concur about the its significance. Strong suggestions from start to complete. is it Good choice to choose division if i have 350 customers? Thanks so much! I am working on several of these ideas now that I have my system up and running. I am wondering about #4. What software do you suggest for tracking which pages by subscribers visit?